If you need a house framing company, you are in the right place. We specialize in new construction home framing. The framing of your house is one of the most important aspects of your house's construction. If not properly framed your drywall won't be flat, your floors will squeak, and your doors won't close correctly. You won't have to worry whether or not your house is properly framed if you choose to use our services. Our dedicated framers have the knowledge and experience to do proper framing job every time. We can handle any size of house regardless of roof pitch and complexity. Typically, an average house in the 1800 square feet to 2000 square feet range will take two or three weeks to frame depending on the complexity of design and weather conditions. Framing is bid by the square foot. Steep roofs, hips and valleys will add to the price, but we offer competitive low pricing you can afford. All you need to do is fill out our simple contact form, tell us about your residential house framing needs, and we will get back to your promptly with a free custom framing quote. Let us handle all of your house framing needs. View our house framing services and learn more about us here. 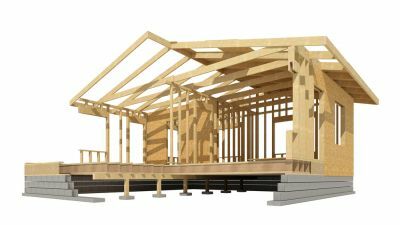 Residential House Framing - Select your State.